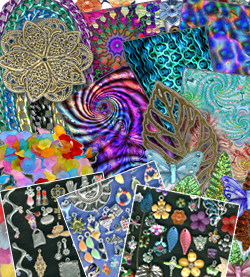 "Partz is Not Just Partz: Polymer Clay face beads, wire kitz, fancy filigree, altered art supplies, digital papers, enamel charms and embellishments that inspire your creativity. " Get our "Best of the Partz" bundle and save $30-40%. How about this twist on "Girls Night out"? If you live in the Metro DC area we'll come to you! Gather your friends for a creative evening workshop making pins and pendants from your old or broken jewelry! 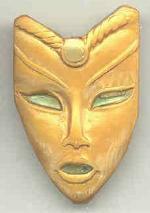 Unique Handpicked and handcrafted materials since 2001, kitz and projects plus techniques from the PartzDiva. 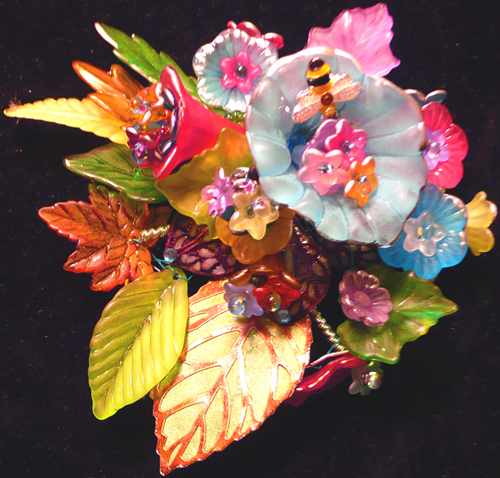 Wire a collage of lucite and filigree flowers, charms, beads and coil! Floral projects for you to make from simple wrapped vines to multi-layered clusters. See our Project Page(s) for more ideas. Chain, filigree, flowers, rhinestones, plus ceramic, lucite, glass, stone, wood, resin... very mixed up media bundled for your enjoyment. 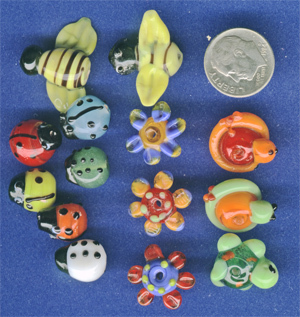 Lovely bitz of austrian crystal, freshwater pearls, dyed shell, glass flower & leaves, bead caps & more. 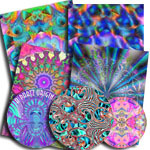 Get Crafty: From Projects and art parties - PARTZ has Parts! Missing materials? 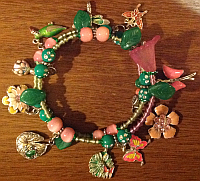 I�ve bundled beads, coil, loops, charms, flower centers and am discounting the mix. You'll get enough "partz" for several projects and SAVE 15%. PRICES LISTED INCLUDE "DESIGNER DISCOUNT"
3 Gifting Strategies, One destination. Let's use different products, grouping and pricing strategies based on how we REALLY shop! 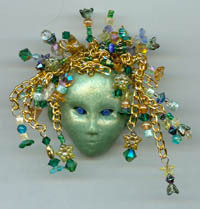 Learn to Reclaim old baubles with Recycling Broken Jewelry- mask stained finishes, disguise missing stones. Ugly beads? Altered Beads details how to give leftover beads a facelift with inexpensive materials! ITEMS SHIPPED IN GLOBAL PRIORITY MAIL FLAT RATE ENVELOPES. FILIGREE CIRCLES AND DROPS PLUS HANDCRAFTED POLYMER CLAY BEADS!! 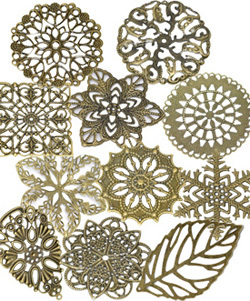 Brass filigree, clay and shimmery mica ...amazing. 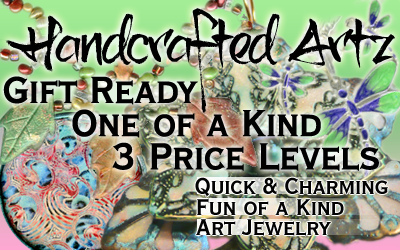 One of a kind POLYMER CLAY BEADS combine layers of mica, metal leaf, and more to create unforgettable art. Check out the Project and Kitz Page for original designs! Classic partz kitz get updated. Detailed instructions, unique designs. 3 Ways you Save! 1. Bulk packs allow for extra participants. 2. Kit packs offered with content options. and our special "Funky Kitz"
WE'VE JUST ADDED MORE CHARMS!!! Gone Sailing and Weekend Workout. Mix and match Animals, fashion, food, sports and more! Painted - Ready to Assemble Fabulous deep patina bronze filigree pieces (we've got 12 different designs) ranging from 1 3/4" to 2 1/4" dia. 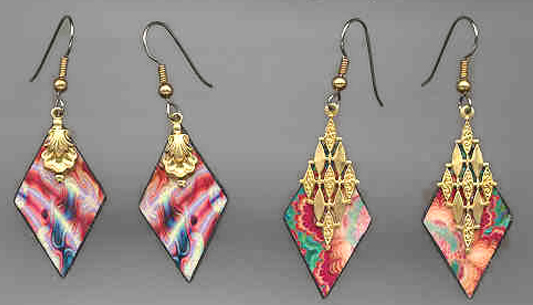 and are light enough for earrings, but sturdy enough for home decor. 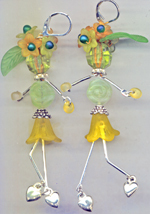 Make oodles of earrings in a jiffy using charms or beads and wire! Great for parties! Ask about special pricing for groups or classes! We also private label if you have a bead shop. All of our kitz are easily customized, require common jewelry tools, and are priced for workshops and classes. 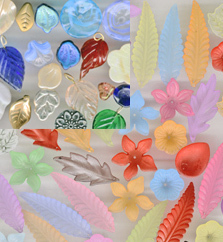 Jazz up your cold rainy days with fabulous colorful vintage flowers, a whole new batch of unique bead strands, and decorate with rhinestone butterflies and sparkly laser cut leaves!. Original Watercolors on clay tiles. Click here to review a list of testimonials from just a few of our many customers who have been purchasing from us since 1999. We do take Paypal, MasterCard, Visa, Wire Transfer and Western Union.